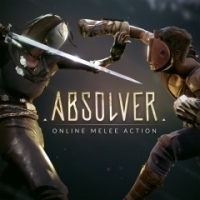 Box Text: Absolver is an online multiplayer combat experience where players are placed behind the mask of a Prospect by the ever-present Guides, the new rulers of the fallen Adal Empire that will determine your worth in joining their elite corps of enforcers. Prospects will wander forsaken lands, encountering others to learn new combat skills, acquire weapons and armor, and engage in solo duels and intense three-on-three battles. 07-16-2018 markus Box Text Absolver is an online multiplayer combat experience where players are placed behind the mask of a Prospect by the ever-present Guides, the new rulers of the fallen Adal Empire that will determine your worth in joining their elite corps of enforcers. Prospects will wander forsaken lands, encountering others to learn new combat skills, acquire weapons and armor, and engage in solo duels and intense three-on-three battles. Players will define their Prospect’s approach by picking a combat style, a weapon of choice, and arranging attacks in their Combat Deck to design their unique and personal attack flow. Through battle with opponents, sparing with friends, and even taking on a mentor players will expand their knowledge and mastery of combat with new moves, weapons, and armor on their journey to Absolution. This is a list of VGCollect users who have Absolver in their Collection. This is a list of VGCollect users who have Absolver in their Sell List. This is a list of VGCollect users who have Absolver in their Wish List.